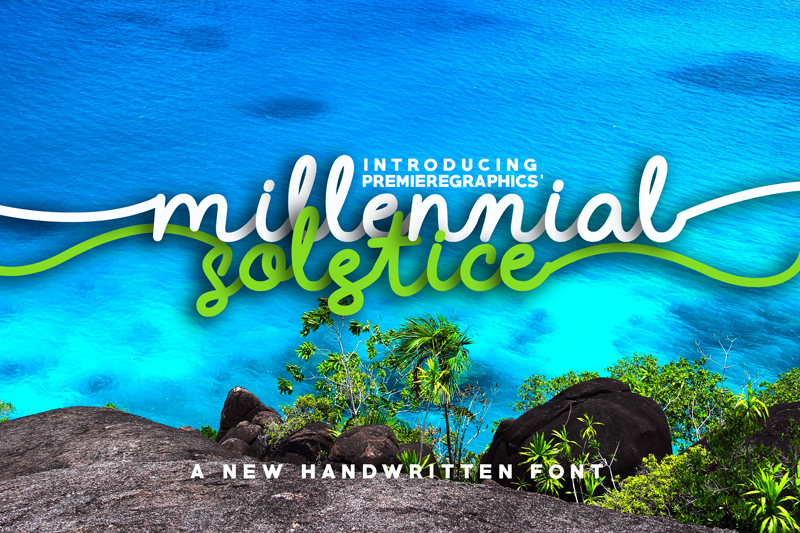 Millennial Solstice is just in time for a new graphic design! This cursive font is carefully handwritten for a perfect typographic style you want. Its smooth and bold texture is very readable and is great for banners, headers, photographs, logo and branding, product packaging and etc.